﻿ Best Price on Hotel Samara Paraiso in Samara + Reviews! Surrounded by tropical forest, Hotel Samara Paraíso is located just 1969 feet from Izquierda Beach. 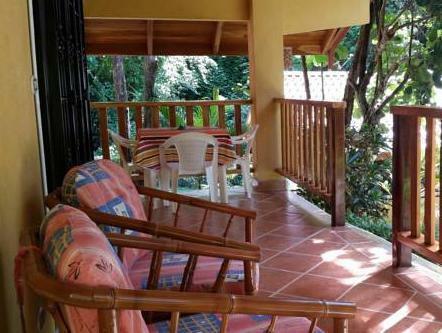 It offers an outdoor pool, lush gardens and air-conditioned houses and studios with free Wi-Fi. All accommodations at Hotel Samara Paraíso overlooks the pool and gardens. The houses and studios have private terraces, seating areas and well-equipped kitchens. One house also has a private pool. There is a small supermarket within 656 feet of Hotel Samara Paraiso . Bars and restaurants can be found in Samara town, just a 10-minute walk away. The Playa Buenavista Turtle Reserve is 3.1 mi from the hotel. The surrounding area is ideal for watersports, including surfing, kayaking and fishing. Free parking is available on site, and the property can arrange car and bicycle rental and airport transfers. Liberia Airport is a 2.5-hour drive away. A prepayment deposit via bank transfer is required within 48 hours to secure your reservation. The property will contact you after you book to provide any bank transfer instructions. Payment is also possible by PayPal. Please contact the property in advance for more information, using the contact details provided on your booking confirmation. Reservations include breakfast -off-site- at Mana Restaurant, a five minute drive to the city center.